How to: Wear Coloured Eyeshadow. Many people are so cautious when it comes to colour on their eyes and I completely get it. It can be really daunting to wear bright colours especially if it is not something that you are used to. I promise you though, it can be done and look nice too. I wore this look to work the other day and got so many compliments. I’ve come up with some tips for those of you who are new to wearing colour. – Pair one neutral shade with one colour. 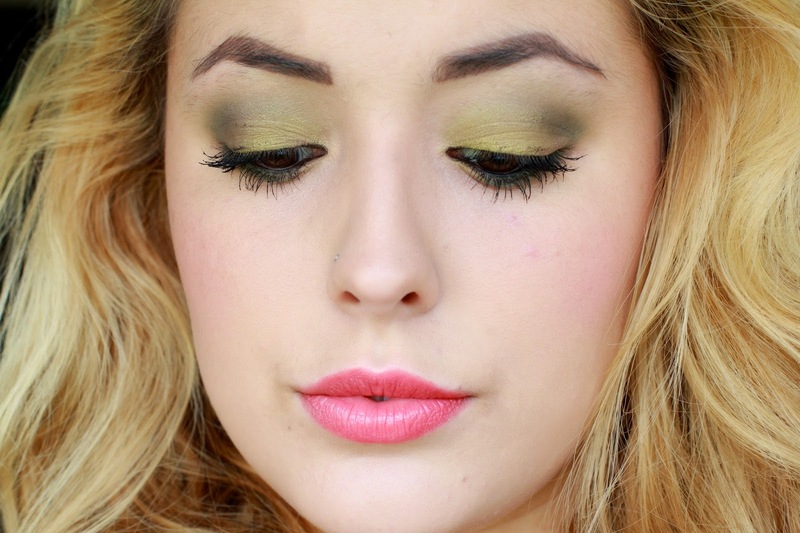 I’ve used a dark green in my crease but you could easily switch that to a brown for a more subtle and wearable look. – Purples and greens are the best colours to start with since they look good on most skin types and eye colours. – BLEND. This should go without saying, but I see unblended eyeshadow way too frequently. Small and light strokes. The further down your brush you hold, the lighter you will press. Don’t clutch at the top of the brush. – Don’t match your makeup to your clothes, just pick a colour that compliments. You wouldn’t necessarily have to wear red shoes with a red dress. – Make sure you balance out your face. If you’re rocking a bright eye, keep the lips and cheeks subtle. I stress the word ‘subtle’, don’t neglect them. 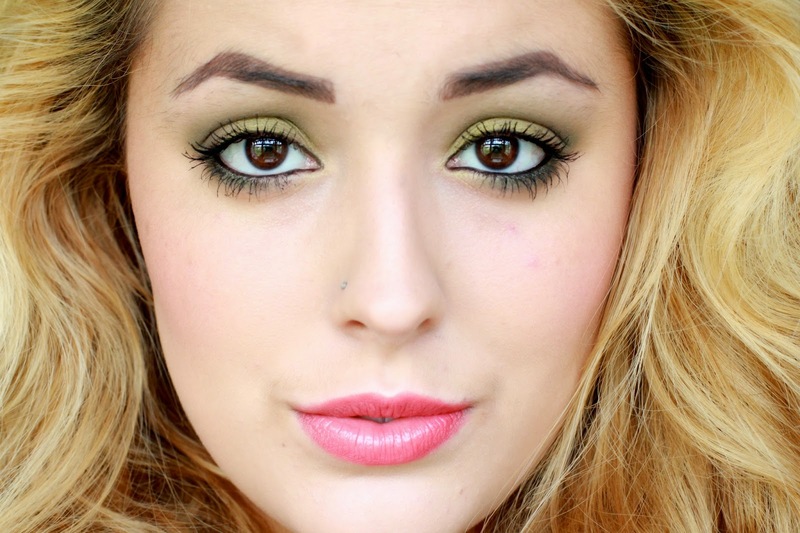 Your make-up looks beautiful, I love the green with your blonde hair 🙂 I'm really guilty for never straying from brown on my eyes but I really want to so these tips have been really helpful. ← How to: Perfect Red Lips – that last the day.